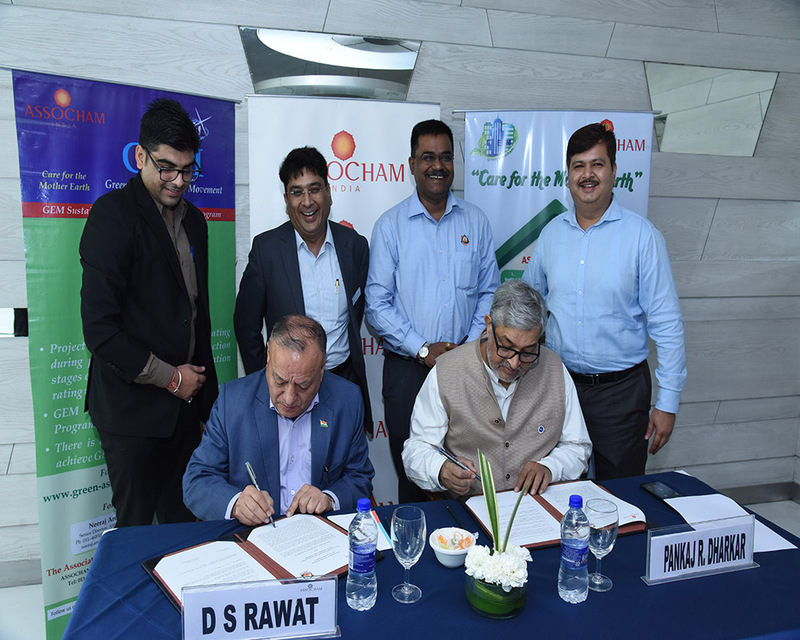 ASSOCHAM has signed the MoU with FSAI on May 4, 2018 at Hotel Le Meridien, New Delhi. Sh. D. S. Rawat, Secretary General, ASSOCHAM and Sh. 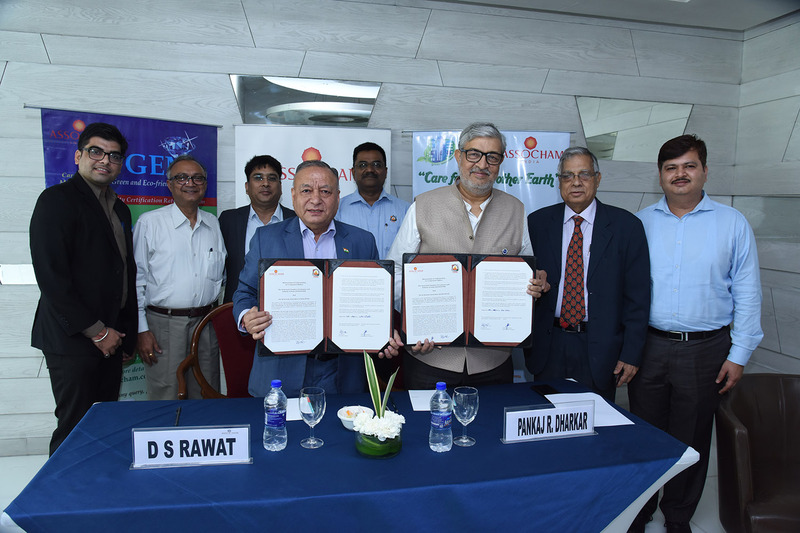 Pankaj R. Dharkar, International President, FSAI signing over the MoU. R to L: Sh. Neeraj Arora, Sr. Director, ASSOCHAM, Sh. Babulal Jain, ASSOCHAM, Sh. Pankaj R. Dharkar, International President, FSAI, Sh. Neeraj Sehgal, FSAI (Back), Sh. D. S. Rawat, Secretary General, ASSOCHAM, Sh. Rajnish Aggarwal, FSAI, Sh. Richie Mittal, ISHRAE and Sh. Amit Kr. Sharma, Jt. Director, ASSOCHAM.